America is a land of invention, where creators like Thomas Edison, The Wright Brothers, and Benjamin Franklin are considered national heroes. And, like most developed countries, the United States has strict laws about the use of intellectual property. 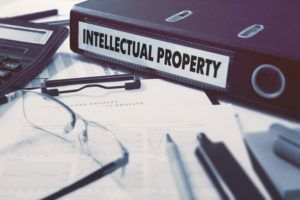 For individuals and businesses looking to legally protect their ideas and inventions, intellectual property attorneys exist to help with that process. Laws regarding intellectual property give creators the exclusive right to profit from a work over a set period of time. The type of protection a creator needs will depend on the nature of the property. In general, there are three different kinds of legal protection that an intellectual property lawyer can set up for you. A patent grant gives the owner the right to exclude others from making, using, or selling a certain invention. A patent attorney can help clients obtain a patent, which are issued by the United States Patent and Trademark Office (USPTO). The term of a new patent is generally 20 years from the date your patent attorney filed the application. Utility patents cover anyone who invents or discovers new and useful processes, machines, manufactured objects, or compositions of matter. Design patents apply to designs that have been invented as new, original, or ornamental features for a manufactured object. Plant patents are granted to anyone who invents or discovers a new and distinct plant variety. A trademark is a phrase, word, symbol, or design that differentiates a business’s product or service from its competitors. For example, the classic Nike “Swoosh” checkmark identifies that your apparel comes from Nike and not Adidas. If a designer tries to slap a similar checkmark on their own shoes, Nike is protected by their trademark. In order for a patent lawyer to pursue your trademark, it must be distinctive. Before registering your trademark, review state and federal databases to make sure something similar doesn’t exist. Trademarks last for 10 years or more, but before being approved by the USPTO, a company or individual can still use the TM symbol to protect their creation. Only the registered trademark symbol holds legal weight, but the TM symbol tells other businesses you intend to claim the mark. Original works of authorship are protected by copyrights. These can include literary works, dramatic works, music, sound recording, architectural works, pantomimes and choreographic works, and your favorite superhero flick. By holding this copyright protection, the owner(s) have the exclusive rights to perform, distribute, display, modify, and copy the work. As a copyright exists from the moment a work is created, legal registration is voluntary. If you have intellectual property that you need to protect, contact a patent attorney as soon as possible to get the process started. Applying for a patent can be a long, complex process, and it’s best to get started right away. What Are the Different Types of Patent Infringement? Attorney Advertising. This web site is designed for general information only. The information presented at this site should not be construed to be formal legal advice nor the formation of a lawyer/client relationship. Matter results shown do not represent or guarantee a specific result in your matter.